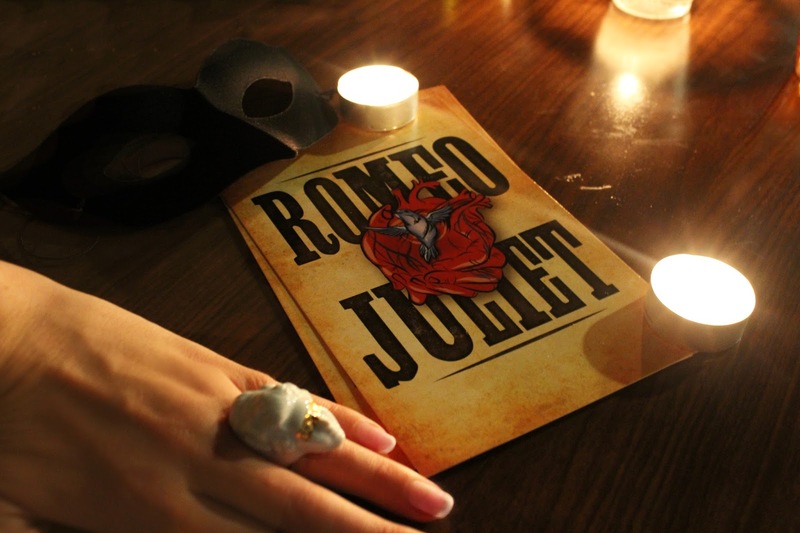 I recently was given tickets by Bay Area Buzz to attend We Players' Romeo & Juliet: The Capulet Ball at Impact Hub Oakland. 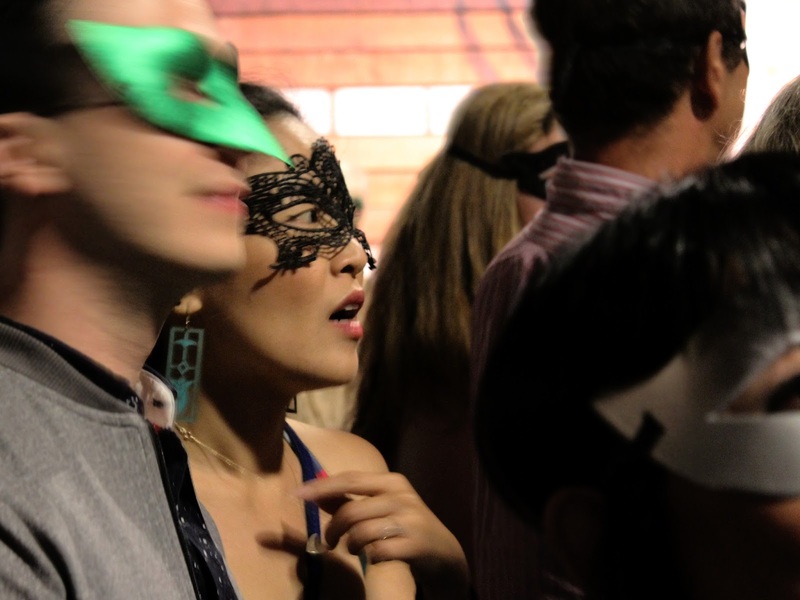 This urban masquerade ball fused together theatrical performances with a formal event. 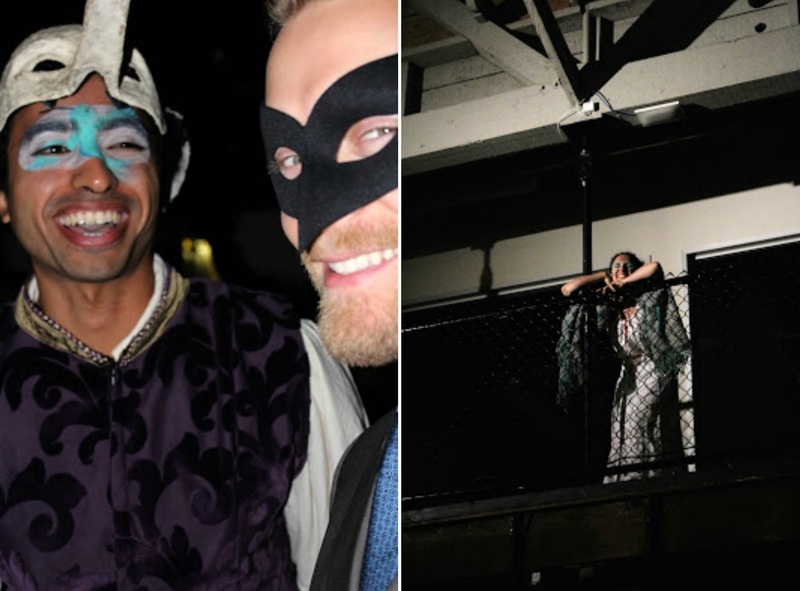 While guests enjoyed the party the acting troupe performed Shakespeare’s Romeo and Juliet Act I and the Juliet's balcony scene with Romeo. 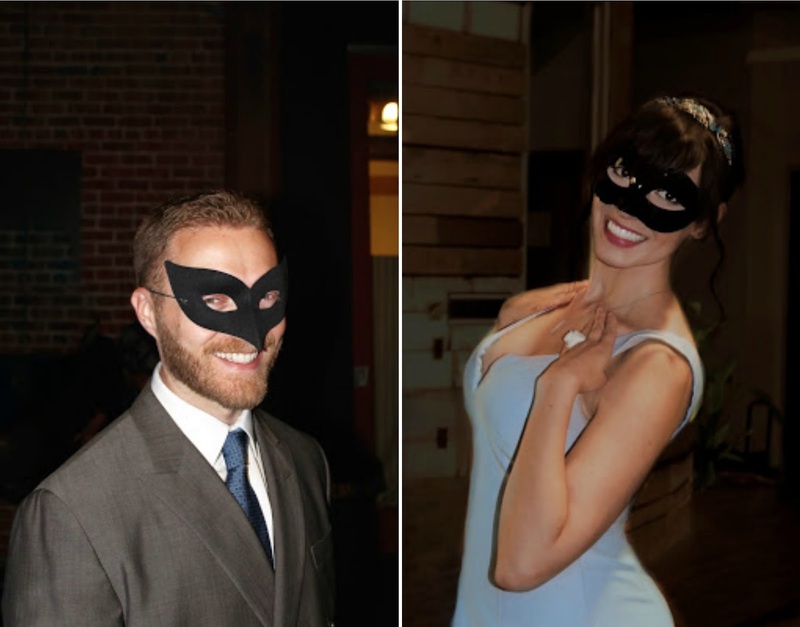 Guests were welcomed at the door with a selection of gifted masks to wear, hors d’oeuvres, and an open bar of wine and blackberry mead (my chosen drink of the night). The dinner-theatre-style performance started as soon as we arrived. The actors interacted with the crowds in full costume and character. Romeo became fast buddies with my boyfriend (if you're new to the blog: I call him Mr. Darcy). They shared jokes and poked fun at the Capulets. 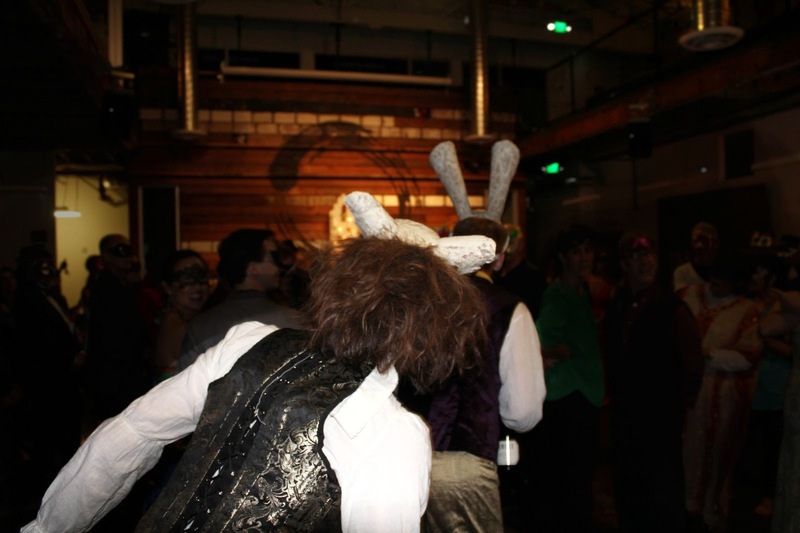 Once the scripted performance began the actors moved in and out of the crowd, involving the party-goers. 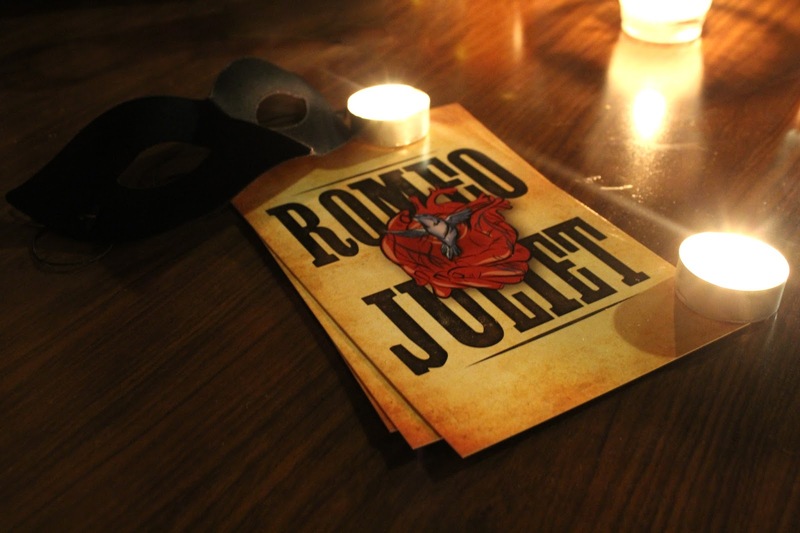 It was as if we were the very guests of the Capulet family-witnessing Romeo and Juliet's first encounter. You can see from some of the photos how enraptured the audience was. A few time period dances were taught to us before the main performance. One involved the entire ballroom to participate and loop in and out of our rows. It was a fun way to see all the guests at a fast pace and start dancing without much skill required. After the We Players stopped performing the live band played a myriad music to dance to. My favorite, of course, was the latin ballroom. Dancing makes me feel so happy and alive in a way only few things can. We were encouraged to "go all out" with our evening wear or to come dressed in "late Italian Renaissance" period clothing. While Mr. Darcy and I chose to go the formal route most of our fellow party goers chose the latter or to sport their own unique sense of what I might call, "urban ball wear." If you would like to join the fun you can attend We Players' next performance ball at The Capulet Ball at Castello di Amorosa. Bring your own mask or be decked out by We Players! Special thank you to Bay Area Buzz and We Players for the special evening.